Home Inspections Resource is locally owned and located in Mobile, Alabama. We specialize in residential home inspections. We're licensed and insured. Ready to schedule your inspection? The services we offer are reasonably priced for the industry and the area. We offer a wide range of services from entire home inspections to wind mitigation inspections. We're always available. Contact us now to set up an appointment for your home inspection. Be comfortable with your home inspector and learn more about Home Inspections Resource and procedures. If you’re buying or selling a home in Mobile, then you most likely are very familiar with the area. However, if you aren’t, then let me give you a little history lesson on the types of homes in Mobile. In 1702 Mobile began as the first capital of colonial French Louisiana. However, it wasn’t long after that Mobile was captured by Spain during the American Revolutionary War. This is where downtown Mobile and even midtown gets a majority of it’s structural influence. While some people may shy away from older homes, there’s a lot to be said about the history and construction of a 50+ year old structure. When we inspect older homes, we take into consideration the time period in which the home was built. However, we also focus heavily on the safety of the homes electrical, plumbing and HVAC systems. While older homes come packed with history and charm, new homes in new neighborhoods are also very appealing to home owners. These newly constructed homes come with all of the modern amenities and upgrades any home owner would desire in their home. 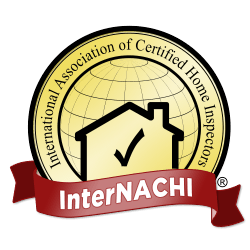 At HIR we inspect these homes just as astutely as we would an older home with obvious flaws. Just because it’s a newly constructed house doesn’t mean it will be perfectly flawless. We’ll sniff out any deficiencies and present them to you on your inspection report. If there aren’t any – then you’ve picked a good solid home! We all know Mobile and the surrounding areas experience A LOT of rain. This abundance of rain and inclement weather can sometimes cause significant damage to homes that can’t handle or withstand this type of weather. That’s why we take every measure possible to ensure the homes we’re inspecting haven’t experienced any recent water damage or leaking. We also go a step further to make sure the foundation of the home is built in a way to withstand the levels of saturation that it will inevitably face in the coming months. At Home Inspections Resource, we’re familiar with the Mobile area and we know what to look for while inspecting a home. We’re accustomed to the uniquely styled older homes found in the mid-town area and we’re also experienced in inspecting the newly constructed homes. We have over 30 years experience in home building and home construction and know just what to look for. If you have any questions about your upcoming inspection or if you’d like to go ahead and schedule your appointment, please feel free to reach out to us. We’d love to hear from you and we’d love to inspect your home.